Please call owner Jason at 813-598-7819. Boat is located in Tampa/Clearwater, Florida. Purchased last summer at Barneys St. This is basically a new boat that is not even broken in fully with only 20 hours use, 90% on Lake Tarpon, meticulously maintained, Air Conditioned storage. Just had 25 hour service (good until 75 hours). 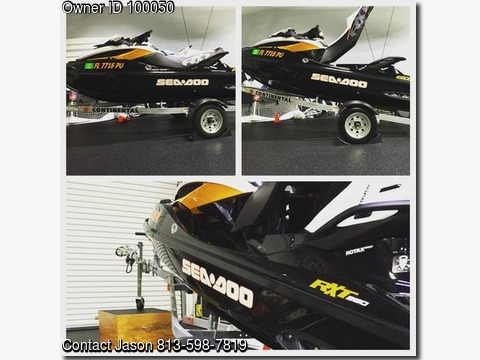 3 year extended Sea Doo warrantee. Includes many extras: vest, trailer, Sea Doo cover, new Airheads G Force 3 person tube, tow rope, dock bumpers, marine emergency kit, sand anchor, many more. You will NOT need to buy another accessory with this deal. Won’t find a comparable PWC for under 15K.